Nanang has often heard stories of earthquakes and high tides in her village. After all, the mother of three lives in Ombo, a small village of 12 households that sits right on the coastline of Donggala regency, Central Sulawesi. It is common knowledge there that if an earthquake strikes, you must immediately run to higher ground. So when she and her neighbors felt the 7.4-magnitude earthquake on 28 September, they quickly packed up some belongings ran up the hill into a nearby forest, and camped out on a field owned by the Ombo village chief. The earthquake - and the tsunami that followed - crippled communication networks over the following days and damaged roads across Donggala and Palu city, making it hard for aid to reach affected communities. “At first, each day, we had to walk down the hill and visit neighboring villages,” Nanang said. 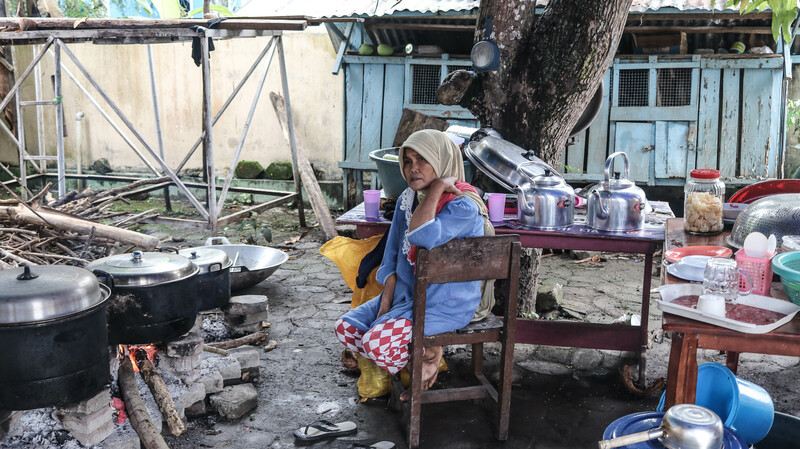 Nanang and her fellow residents of Ombo village are currently living in a temporary shelter. It has now been 33 days since the powerful earthquake and tsunami devastated parts of the Palu, Sigi, and Donggala districts. The disasters claimed more than 2,200 lives and left more than 4,600 with serious injuries, according to data from the National Disaster Mitigation Agency (BNPB). Over 220,000 residents are currently living in temporary shelters after more than 60,000 homes were destroyed. 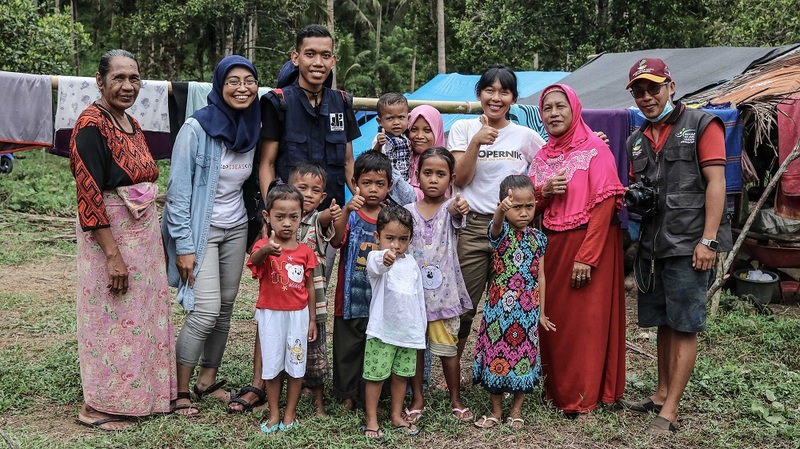 With local partners in Central Sulawesi – Mosintuwu Institute and SKP-HAM – Kopernik focused on providing solar lights and water filters to support affected families in getting access to electricity and safe drinking water during the immediate emergency period. So far, 343 solar lights and 488 water filters have been delivered in addition to various emergency food and non-food items that were needed in the aftermath of the disaster. Kopernik is also supporting a network of 91 public kitchens in the Palu, Donggala, and Sigi districts organized by Mosintuwu Institute and SKP-HAM. 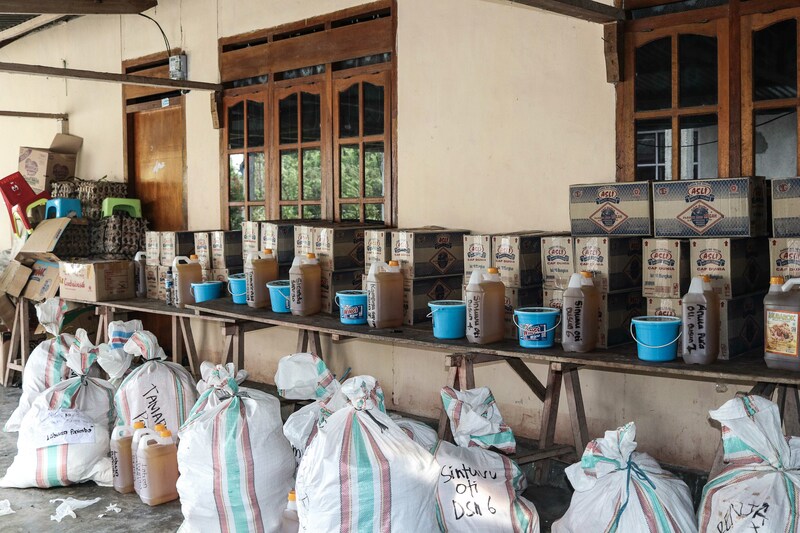 In addition to solar lights and water filters, Kopernik supported a network of 91 public kitchens in Palu, Sigi, and Donggala that serve food to families affected by earthquake and tsunami. Delivering food items to affected families in Central Sulawesi was the top priority in the aftermath of the disaster. Every day over the past four weeks, the public kitchens have provided food to hundreds of displaced families. During its busiest moments, the kitchens, which are run by the disaster survivors themselves, can serve as many as 2,000 people in one day. As one month has now passed, local authorities, humanitarian agencies, and volunteer networks are now working to rehabilitate and rebuild the damaged areas. In Donggala, Nanang and the rest of the Ombo villagers are currently preparing to go home to restart their lives. During this transition period, Kopernik is committed to continue supporting families affected by the twin disasters. Your contribution will help us to continue sending much-needed help to families in Central Sulawesi. Join our relief effort: Palu Emergency Response Phase Two.